The Query Cloud is like a virtual database. Within this virtual database you can query and use data from different databases, combine them with SQL as if they are in the same database. 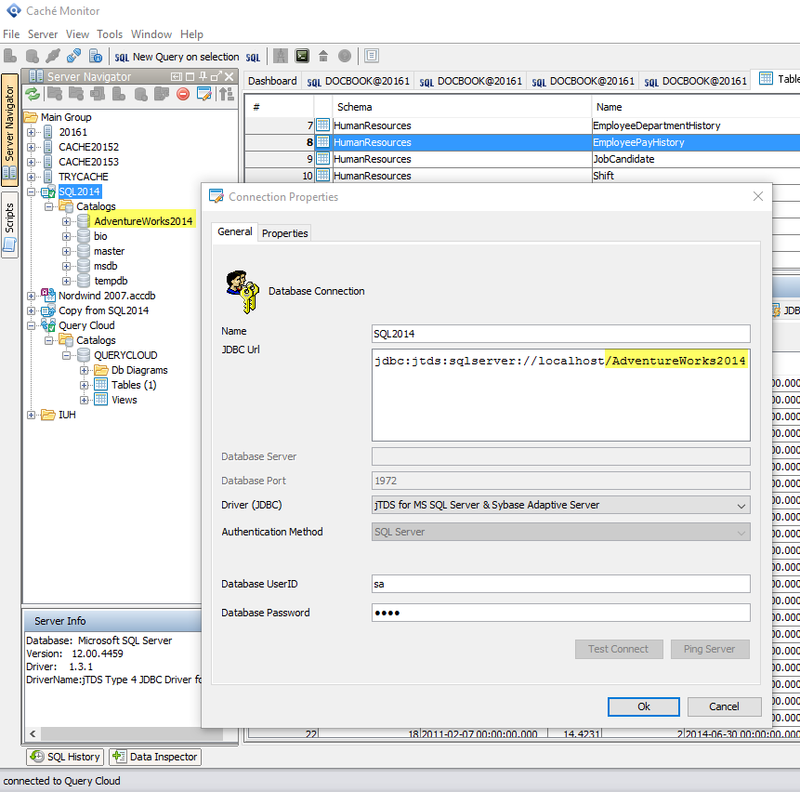 The jTDS database driver is an free driver for Microsoft SQL Server (6.5, 7, 2000, 2005, 2008 and 2012) and Sybase Adaptive Server Enterprise (10, 11, 12 and 15). Read this to get details about register the jTDS driver within Caché Monitor. If you want to add a table to Caché Monitors Query Cloud to combine them with other tables (data) from another datasources there exists a limitation that need to be respected: To adding tables from a jTDS datasource to the Query Cloud we recommed to create a seperate connection within Caché Monitor for the source database. In the Server Navigator you can view tables from any database on the specific server. But only tables from the database that are specified in the connection url e.g. 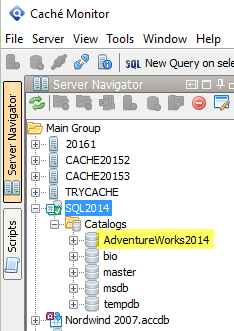 AdventureWorks2014 should be added to the Query Cloud!